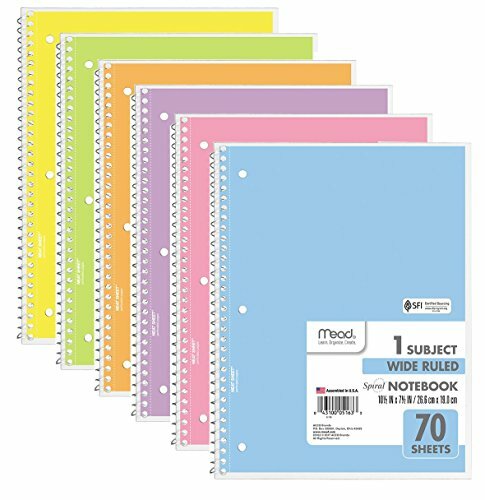 Basic 1 subject notebook Wide Ruled, available in a variety of colors. It's versatile and perfect for a variety of uses including in-class note taking and recording meeting notes. 6 Pastel Color Notebooks per pack. Amazon Exclusive Pastel color notebooks! !